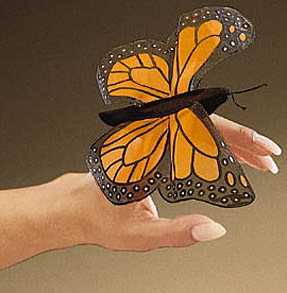 The sheer wings of this finger puppet, silk screened with realistic markings, flutter gracefully up and down with the motion of your hand. Its stretchy nylon fabric body fits fingers of many sizes. Finger puppet measures 4" long.